In the previous issue of PTJ (2016–2), we saw the bad old days of a fledgling new carrier—Metro-North—which in 1983 was created to build a whole new commuter-rail system from the ruins of former New York Central, New Haven, and Erie Railroad lines that had been passed off by Penn Central and then Conrail. Fortunately, prior to MNR’s start, the serious planning underway at both MTA and CDOT did mitigate the challenge somewhat. A multitude of projects and plans were underway to address the looming realities regarding delivering reliable service, along with a tight supply of electric-service passenger equipment. Rescuing this railroad required triage, and the upper Harlem Line—specifically the non-electrified portion north of North White Plains to Brewster—was the sickest patient. Ridership was almost stagnant despite area population growth. A competing bus line even ventured in, searching for disgruntled Harlem Line passengers. Fortunately, the MTA began addressing Harlem Line problems even before MNR was born. The main thrust was to extend electrification from North White Plains to Brewster and a new terminal/transfer (to diesel trains) station just north of Brewster known as Southeast. In addition to the new 660-volt third-rail electrification and substations for the Harlem Line, the MTA ordered 142 Budd-built M-3 electric MU cars (the order also included 174 M-3s for the Long Island Rail Road). The old Automatic Block Signal (ABS) territory, with hand-thrown crossovers, was replaced with the more flexible Traffic Control System (TCS), with five new control point interlockings. Thirteen stations received high-level platforms. Service during the construction project from 1982 to 1984 was a bit chaotic. Most peak commuter service was kept intact; however, during the day, off-peak trains had modified (or cancelled) schedules requiring substitute busing. There were also temporary service cuts. Upper Harlem riders finally got to savor a civilized commute in June 1984 as the first few electric revenue trains were phased in. Extended electrification and the new MUs that came with it also allowed an overdue pruning of roughly 150 coaches and the worst of the diesels that largely had been dedicated to Harlem Line service. A portion of the 140 new electric M-3s allowed for capacity expansions to accommodate the six percent annual passenger growth of the early 1980s on the lower ends of the Hudson and Harlem lines. Forthcoming were long-term ridership gains and a more favorable image. 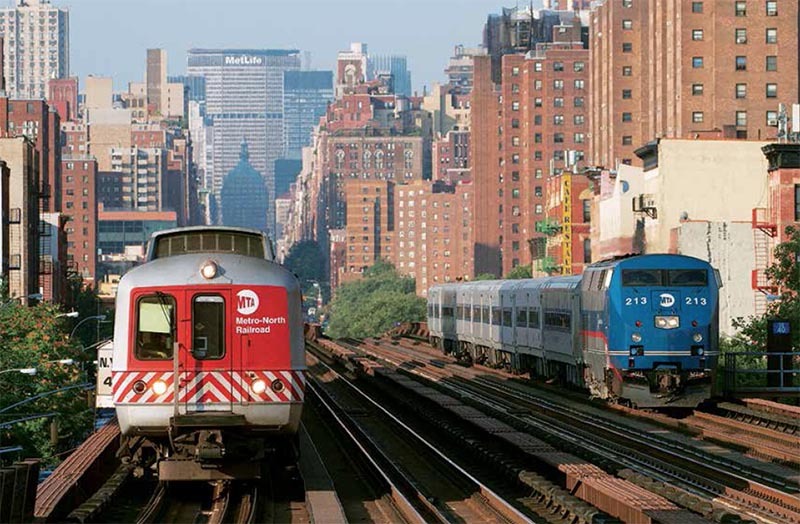 The success of the Upper Harlem Electrification Project helped Metro- North operationally as well as with passenger satisfaction, although the bulk of improvements and changes still lay ahead. Now, the diesel operations took over as the new Achilles Heel. Although MN retained enough aging equipment to cover ongoing needs for the remaining diesel services, years would pass until capacity could be added for diesel region commuters—MN’s biggest challenge for over a decade. The Hudson Line’s service Poughkeepsie service was now the busiest diesel territory, with 1,800 weekday commuters, requiring 21 coaches. And, there was pent-up passenger demand because of an increase in commuters living farther north, along with the growth of off-peak weekend travelers heading out of the city, attracted to the Hudson Valley’s general appeal. 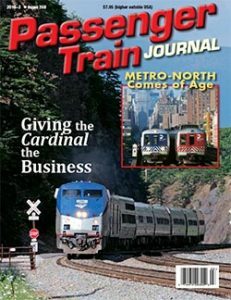 The Hudson Line was to become Metro- North’s new rising star, owing to double- digit ridership rises in 1985, 1987, and 1989. Further, ridership increases were now enjoyed systemwide as a result of better operating and on-time performance. 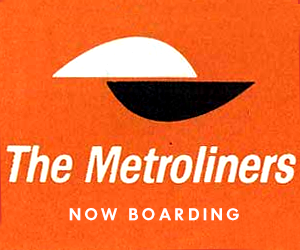 By 1986, Upper Hudson Line riders had received new Bombardier push-pull coaches, and by 1988 they got increased through service with five trains each way, plus several off-peak through runs. Going forward, almost with each schedule change, customers saw more trains (including more through trains) throughout the day. Weekend service also was getting its enhancements, benefitting from otherwise idle commuter equipment on weekend layovers. There were plenty of weekend seats, clean windows, and good river views, and with them came fast-growing patronage; hourly service came in 1988. 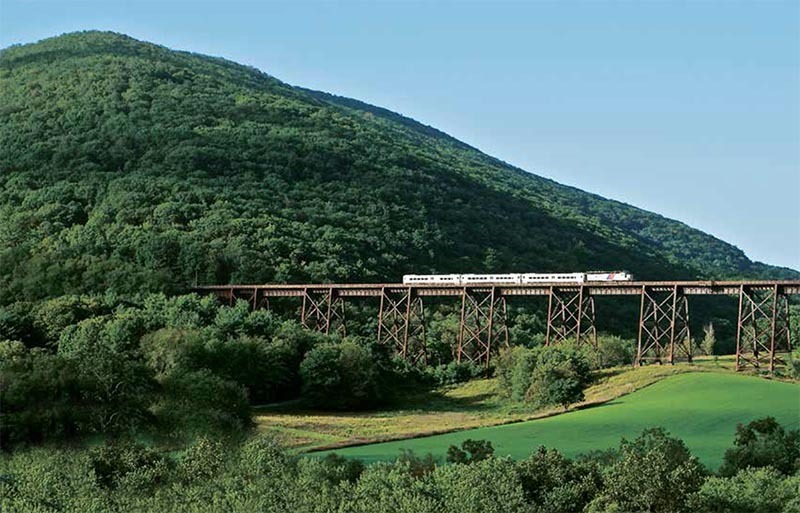 Passengers and employees alike enjoyed seeing the upper Hudson operation evolve from what had been a small adjunct operation of the former New York Central grow into a prominent 72-mile corridor. The cross-platform train connections at Croton-Harmon (end of the lower Hudson Line electrification) were replaced with hourly through service. The first new order of 30 Bombardier push-pull coaches and cab cars was split evenly between MTA and CDOT. 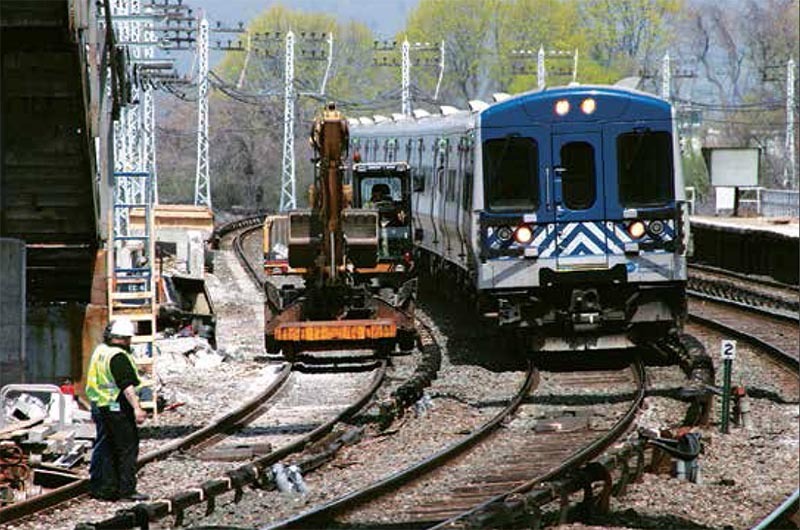 Also, MTA and CDOT needed to rebuild their ex-New Haven FL9 fleets by outfitting them with 480-volt Head End Power (HEP) systems for train climate control, replacing steam-heat generators—a fast-dying technology on Amtrak and suburban carriers alike. CDOT painted their ten FL9s in an impressive retro-New York, New Haven & Hartford livery, and they paired well with the new CDOT coaches sporting red-orange window bands. CDOT’s entire Danbury service was outfitted with a new look in 1986, soon after the MTA side of the order replaced the standard Hudson Line coaches. More new coaches were still forthcoming for needed service expansions. 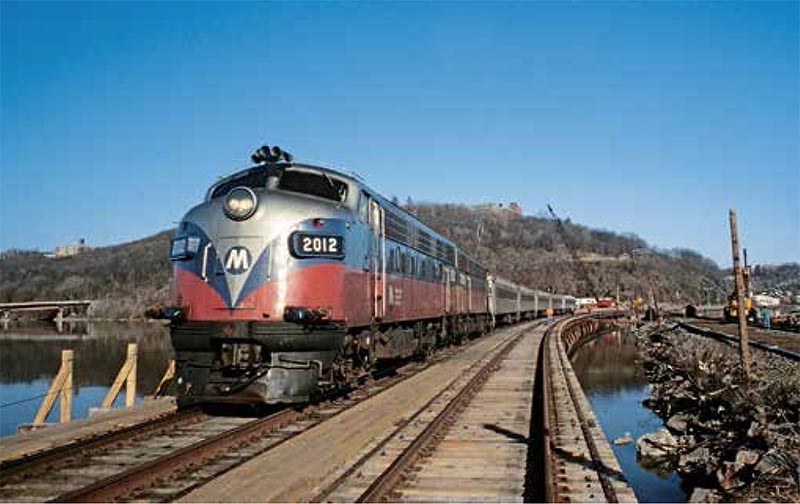 Getting dual-mode electric/dieselelectric locomotives may have been Metro- North’s toughest task—and the most aggravating for the mechanical and operating folks who had to deal with temperamental rolling stock day to day, winter and summer. Although coaches could be ordered readily, the 30-year-old FL9 dual-mode locomotives needed replacement, but none was available. Finding a new reliable locomotive with dual-mode operation for access to Grand Central was not simple. This dogged a long-needed diesel replacement program for years, as locomotive makers had little interest in offering a complicated product to such a small market.